ChangeWave surveyed 1,713 consumers in the U.S. between March 4 and March 19, of which 5% said that they are “very likely” to purchase a smartwatch from Apple. Another 14% said that they are “somewhat likely” to do the same. 19% doesn’t sound like a massive amount, but it could signal stronger demand than you may think. In comparison, a ChangeWave survey conducted in January 2010 — before the original iPad was announced — found that 18% of consumers were likely to purchase an Apple tablet. Another survey conducted in 2005 found that 18% of consumers wanted to purchase an Intel-powered Mac. So why are so many consumers confident that they’ll purchase an iWatch before Apple has even made if official? “Apple’s track record of delivering ultra-convenient, easy to use products with a perceived ‘cool factor’ is driving pre-release demand for the rumored Apple ‘iWatch,'” according to ChangeWave’s Andy Golub, who is confident the iWatch will become a big seller. “While an ‘iWatch’ doesn’t yet exist – and if it ever does it will have to live up to super high expectations – it has the potential to be another huge success for the Cupertino, Calif., manufacturer,” he added. Recent rumors have claimed that the iWatch will be powered by Apple’s iOS platform, and that it will have a flexible display that wraps around your wrist. It’s expected that the device will connect to your iPhone and other iOS devices to deliver notifications and other functionality to your wrist. 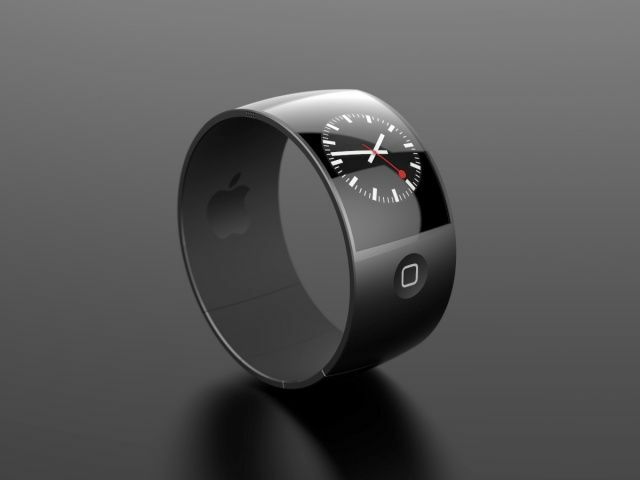 A Bloomberg report said that Apple was working hard to launch the iWatch before the end of 2013.